We are pleased to announce liveblogging platform CoveritLive as the latest sponsor of news:rewired – digital stories, Journalism.co.uk’s next digital journalism conference. The one-day event, which takes place on Thursday 6 December at MSN UK’s offices in Victoria, will be geared towards equipping delegates with knowledge of the latest techniques and tools for producing top-notch digital journalism, as well as offering insight into some of the innovative projects evolving within today’s newsrooms, and outside of them. 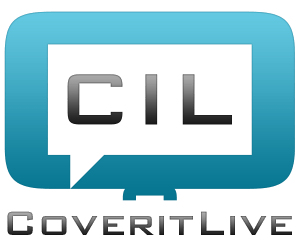 CoveritLive is used by news outlets to collect and publish live coverage of events in one place, with the ability to also feature and answer questions from the audience within the platform. And according to CoveritLive more than 20,000 events are covered using the platform each month. Demand Media’s senior director and general manager for CoveritLive, Ben Schneider, will be joining the liveblogging workshop at news:rewired – digital stories, where he will share top tips for liveblogging success and making the most of the platform. Schneider spoke about real-time reporting and the live stream of news on a panel at a previous news:rewired conference. Here is more on some of the tips shared by him and the rest of the panel then. There are still tickets available for news:rewired, but be quick as the event usually sells out. Tickets for the one-day conference can be purchased at this link for just £130 (+VAT). Lunch and refreshments will also be provided, as well as networking drinks afterwards. Homepage image by ilouque on Flickr. Some rights reserved.